Vox docuseries featuring interviews with entrepreneurial risk-takers who've made the leap and made it happen. To amplify Hiscox Insurance's #EncourageCourage marketing message, Unboxd created and produced Courageous Leaders - a six-episode docuseries and native advertising campaign designed to motivate would-be entrepreneurs to ignore fear, embrace risk and start a business. Host Hartley Sawyer interviewed Foursquare Co-founder Dennis Crowley, Group Nine CEO, Ben Lerer, interior designer Ross Cassidy and other business leaders about their early failures, taking risks and how they found the courage to bounce back and succeed. 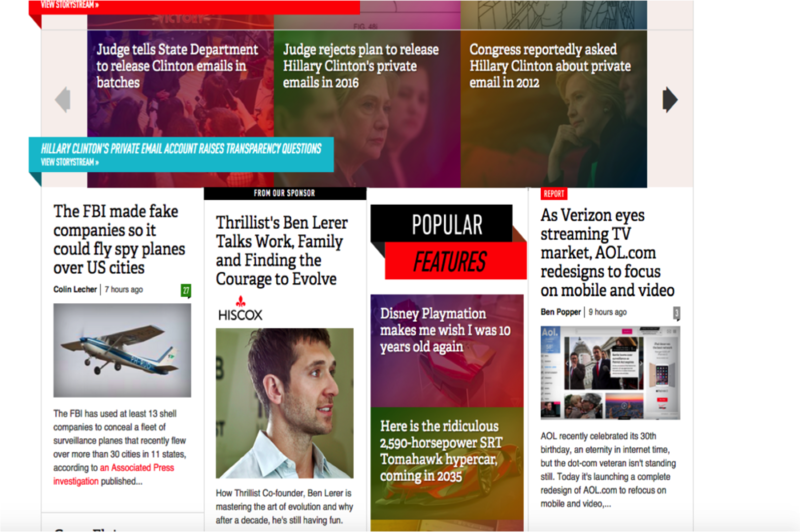 In addition to sponsored content across the Vox Media network - Vox News, The Verge, Curbed, SB Nation and Polygon, which referred 10,000 leads to the Hiscox website, we targeted current and future entrepreneurs through social media and placed coverage in The Wall Street Journal, Adweek, Contently and Tubefilter.